Fear, desperation, and death: Painting as an act of self-liberation For Edvard Munch (1863-1944), painting was an act of self-liberation. His treatments of fear, desperation, and death still exert a powerful visual and psychological effect on modern viewers. Of all Munch’s paintings, "The Scream" (1893), representing a figure tortured by horror, is the most well-known-and certainly one of the most expressive. Ulrich Bischoff (born in 1947) studied art history, German language and literature studies, sociology, history, philosophy, religion and education in Tübingen and Berlin. He has taught numerous courses at the Academy of Fine Arts in Munich and at the Universities of Berlin, Kiel, Hamburg, Passau and Dresden. Since 1994 Bischoff has been director of the Gemäldegalerie Neue Meister at the Staatliche Kunstsammlungen Dresden. 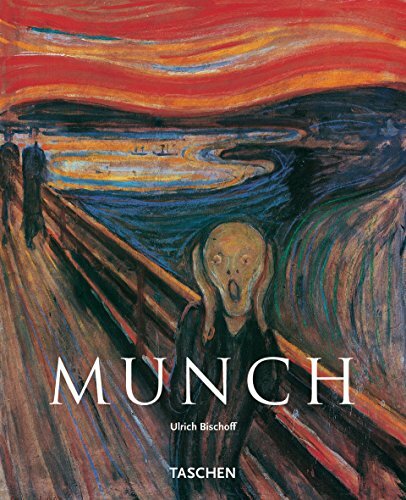 He has published numerous writings in the areas of classical modernity and contemporary art, including TASCHEN's Edvard Munch and Max Ernst.